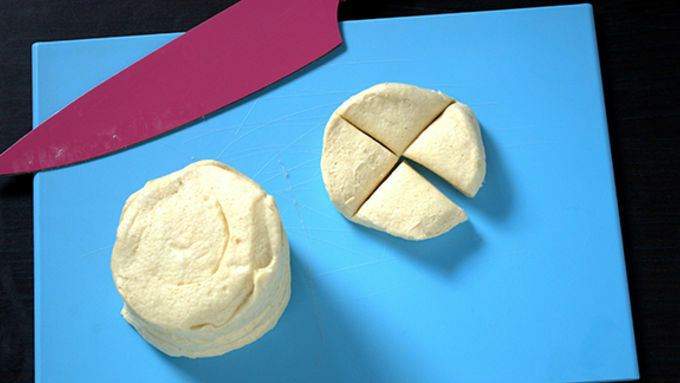 Cut each one of the 8 Grands!™ Biscuits into 4s, giving you a total of 32 pieces. 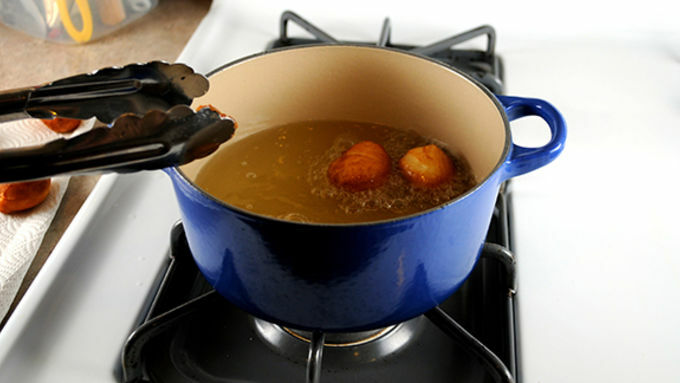 Heat oil to between 360-375°F for best frying results. Using tongs, add 3-4 biscuit ball pieces at a time. You dont want too many or you will not be able to turn them quick enough and they might burn. 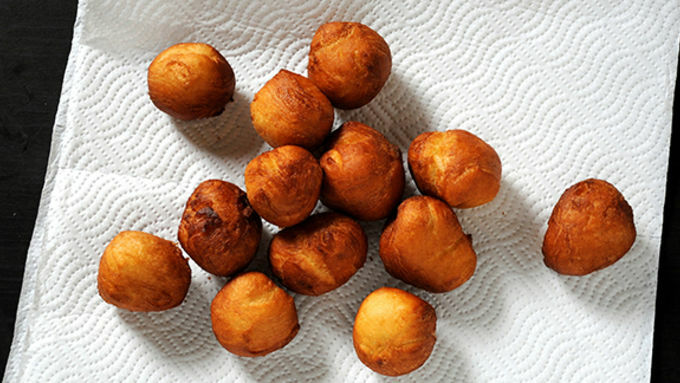 Watch carefully as they will fry up quickly. Turn with the tongs to keep from burning. Once good and brown (you want to make sure they cook all the way through) remove from oil and place on a paper towel to soak up extra grease. 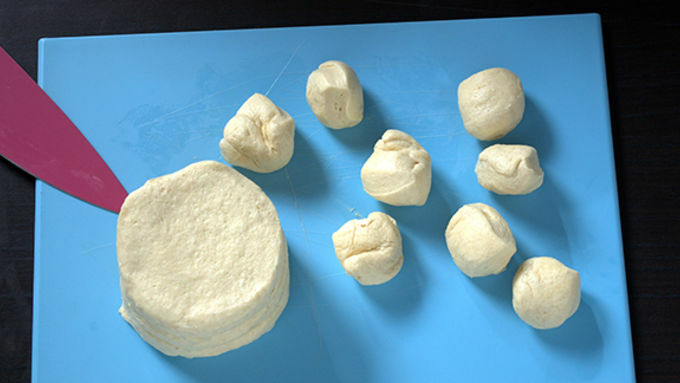 Repeat with all 32 pieces of dough. Once cooled take out vanilla pudding from fridge. 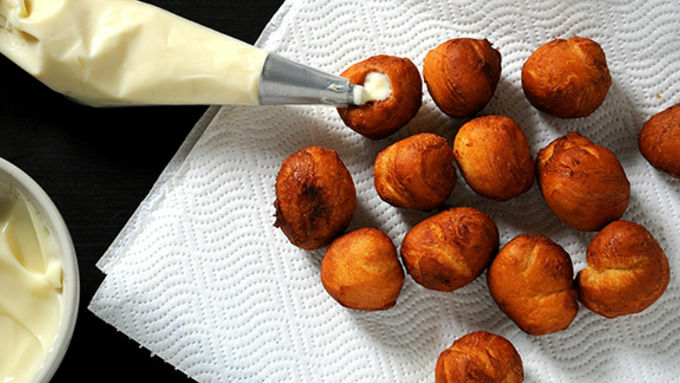 Place vanilla pudding into a piping bag fitted with a metal tip. Poke the metal tip into the biscuit ball piece and pipe pudding into the biscuit until it starts to come out of the hole. Place frosting into a microwave safe bowl and microwave for 15 seconds. It will be more like a glaze now. 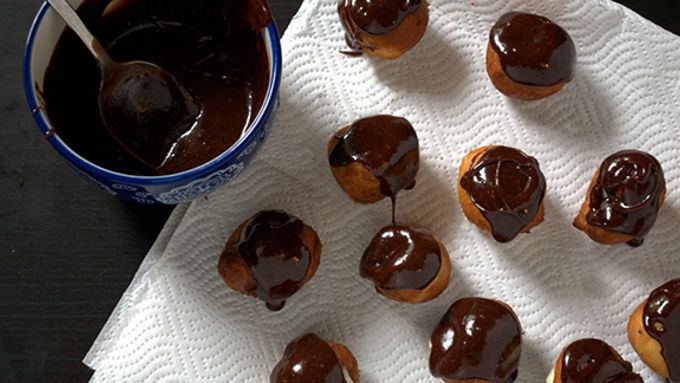 Drizzle chocolate frosting over the pudding filled biscuit balls. Let frosting set up. You can place them into fridge for a bit to help speed the process. Best if eaten the same day that you make. I don’t have a nice French pastry shop anywhere near me – and I certainly don’t have the patience to make éclairs – but sometimes I really want one. What’s a girl to do? 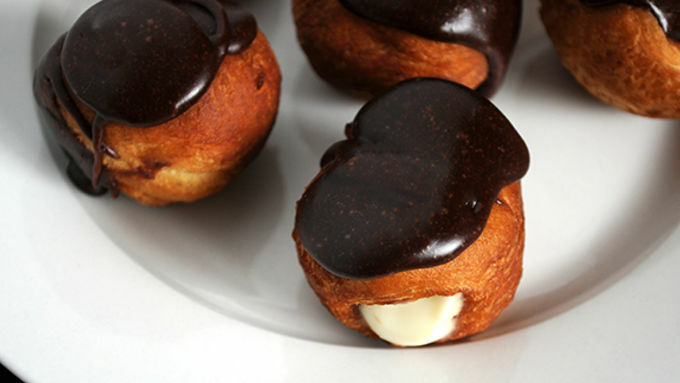 Make a much easier version of mini éclairs is what! 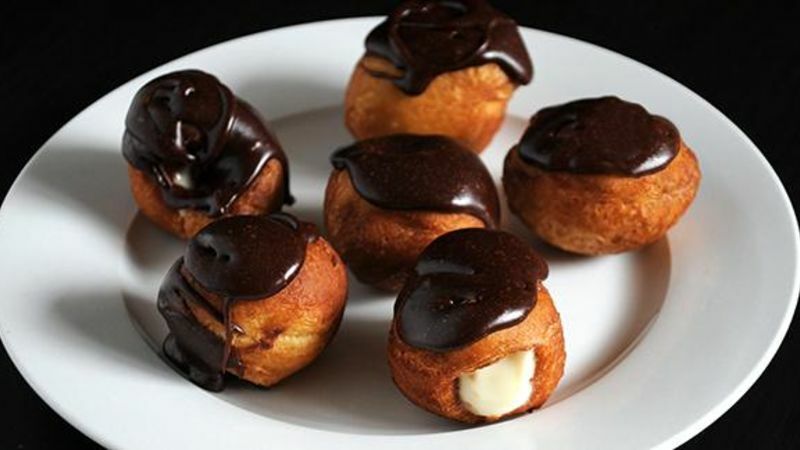 These are beyond simple…and only use three ingredients: Pillsbury™ Grands! Refrigerated Biscuits, prepared vanilla instant pudding (I used the refrigerated kind), and Betty Crocker Hershey’s Chocolate Frosting. So the next time you have a mad craving for éclairs, why not get all of the flavor and hardly any of the work by making these mini biscuit éclairs instead? These are best if eaten the day of – but these mini biscuit éclairs are so good, that won't be difficult!